It's that time of year again, where some of us are slightly behind with our Christmas preparations! Here at The Earring Collection, we have a range of matching pieces, in a variety of styles and colours that would make ideal gifts. These are available from our lovely Cowes boutique, but can also be ordered over the phone and posted on to you, taking away a little bit of the strain and stress that last minute shopping for gifts can cause. 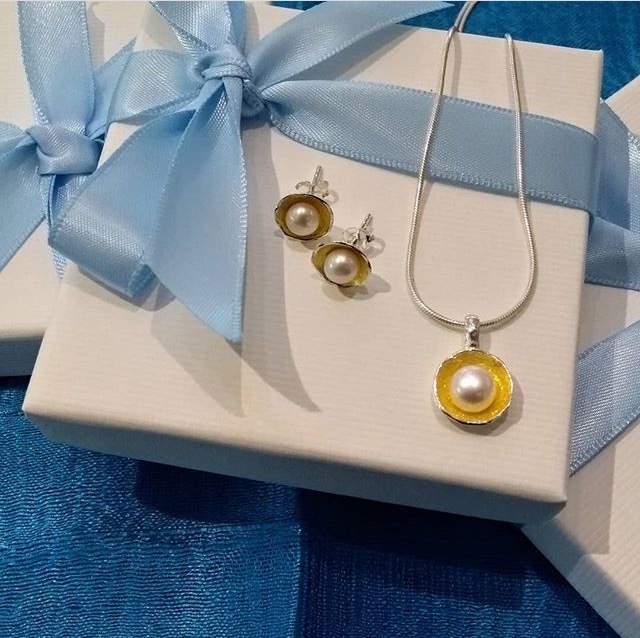 The Water Lily pendants and earrings are available featuring both white and peacock freshwater pearls in brushed sterling silver. 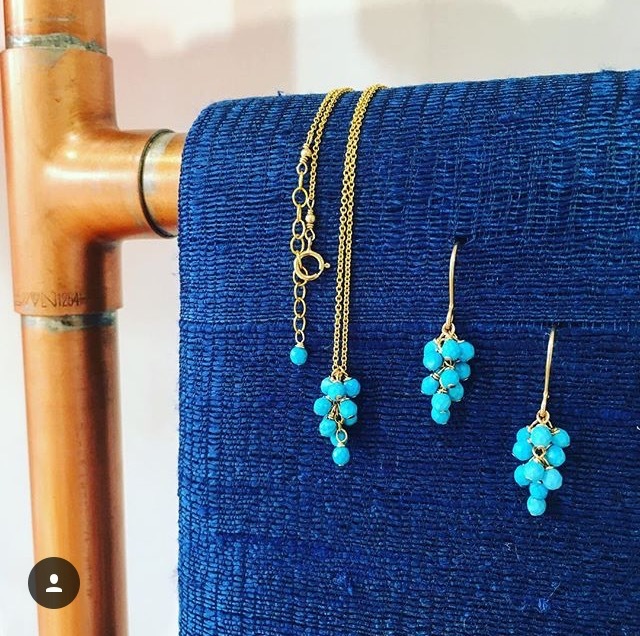 Delicate and dainty turquoise beads and 18ct gold vermeil have been used to create this lovely set. These are just four examples of the matching pieces we have. There are many more beautiful designs available. Do give us a call with any enquiries. unique, hand-crafted jewellery, some examples of which are shown on this page. We are always happy to respond to enquiries and we do operate a secure telephone ordering system.